Over the years, I’ve read a number of Samuel Marquis’s historical thrillers. I’ve become a fan who’s happy with pretty much every volume, many of which are set during World War II. Among the many surprises of his new Blackbeard is the time period the story is set in. I’ve never associated Marquis with the early decades of the 18th century or the seas of the Caribbean and the pirates that sailed on them circa 1716-1718. Another major surprise is Marquis’s portrayal of Blackbeard, the privateer turned pirate. I was surprised to see the pirate always referred to as Edward Thatch and not Edward Teach, the surname I always associated with Blackbeard. Well, Google for both names and both names will come up in multiple entries. Whatever handle Marquis gives his character, few readers are likely to anticipate seeing Blackbeard painted in the most heroic portrait possible, at least for the first two/thirds of the book. Marquis’s Blackbeard tries to avoid violence by only attacking ships that offer little resistance to minimize the carnage his crew might endure. He’s a giant figure, a charismatic leader able to use eloquence to sway his extremely democratic sea-farers to his point of view. 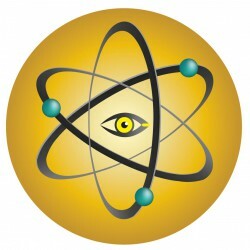 The pirates operate within the rules of the “articles” that give every man an equal vote in important decisions and an equal share in any booty. There is no racism. We see this most evident in the character of Cesar, a former black slave now devoted to Blackbeard. The pirates’ motives are in part economic, part political, and part a lust for the free life. At first, pirate captains have charters given to them by royal governors based in the New World to attack Spanish and French ships. But many dislike British King George from the House of Hanover and would prefer the crowning of James III from the House of Stuart. For such reasons, Blackbeard’s small but powerful flotilla start attacking British ships in part to rebel against those who are rich and abusive to the common man. The pirates start describing themselves as “Robin Hoods,” distributing wealth much more fairly than royal charters. Another major character is Steede Bonnet, a Barbados plantation owner who throws it all away to become a pirate for the freedom of a life at sea despite his less than adequate knowledge of sea-going ways. Woven throughout the scenes set in the Caribbean and up the Atlantic coast, we also spend time on land with Alexander Spotswood, the despotic, vindictive and tyrannical lieutenant governor of Virginia. For Spotswood, capturing Blackbeard is a political move calculated to curry favor in England. Very unpopular with his colony’s citizens, he suppresses any desires brought to him from the Virginia House of Burgesses that might erode his powers. He despises the new term of “Americans” and, in many ways, embodies the complaints the founders of the United States would fight against in just over fifty years. So the “Golden Age of Piracy” is portrayed as the precursor for the American Revolution with Blackbeard and his cohorts the real patriots, at least in their own opinion. In Marquis’s realm, these salty dogs never lacked for self-righteous self-justification. I suspect it’s my own preconceived notions, but I frequently found it difficult to accept the verisimilitude of these noble scalawags. I am perhaps a modern victim of the propaganda that cast Blackbeard as a vicious criminal in Boston newspapers of the time. I was also put off a bit by Marquis frequently repeating his points over and over which seemed like rather overdoing it. Padding? The book never really builds up a head of steam, at least until the final third where Blackbeard realizes his flotilla has grown too large, that the British admiralty is about to end the age of freebooting piracy, and he makes some turning-point choices very different from what we’ve come to expect from him. Lots of surprises in this fast-moving section of the book. Throughout, Marquis’s gifts for description and character development are on full display to take his readers to times and places that, in this case, are captured in ways few of us would expect. His closing end notes make it clear he sketched out most of this novel drawing from a wide spectrum of resources, many of them of rather recent vintage. 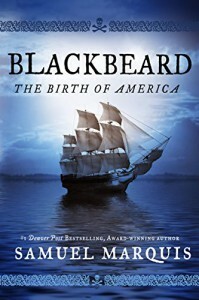 So, from page one to his appendices, unless you too are a Blackbeard scholar, Blackbeard: The Birth of America will be a constantly eye-opening series of surprises. You’ll feel certain you’re learning something as the story progresses. Pirates as the original American revolutionaries? Marquis builds a vivid and convincing case that is so.